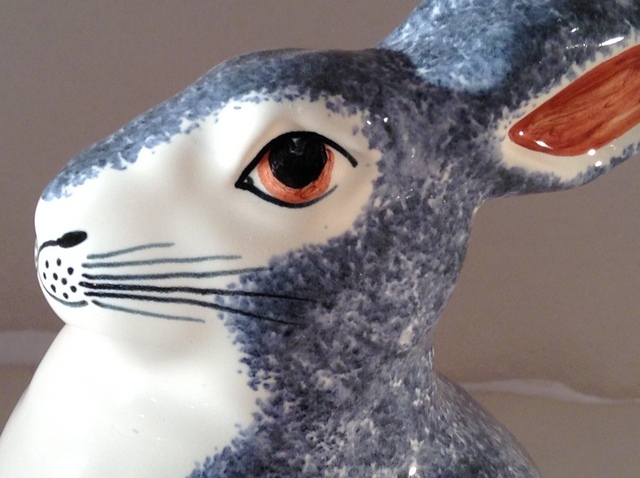 Introducing the popular Rye Rabbit! 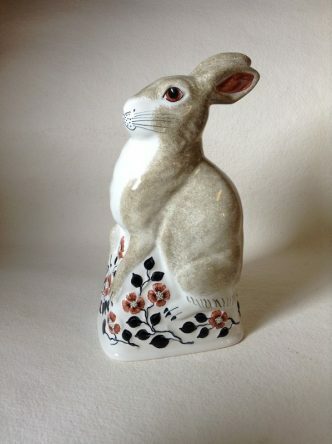 This hand-made and hand-painted ceramic rabbit is one of our most popular animal figures. 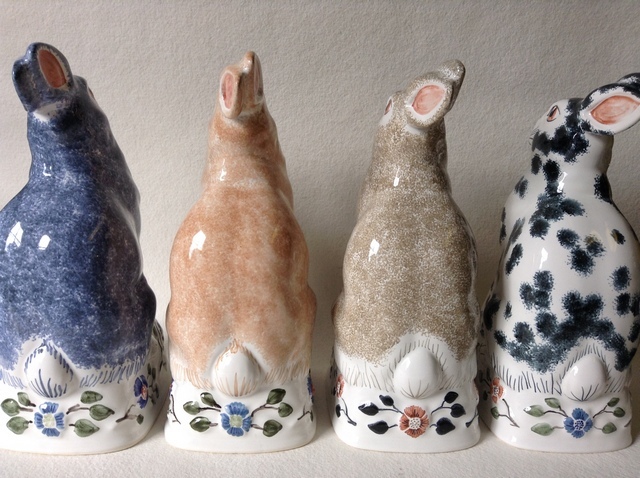 The main image shows the Rye Rabbit in London Stone Sponge, but this figure is also available in Indigo Blue Sponge, Ginger Sponge and White with Black Spots. 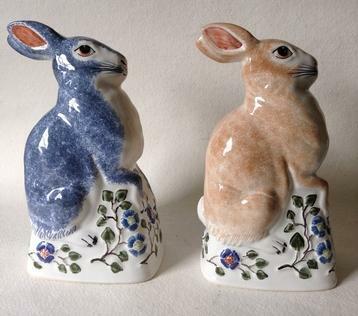 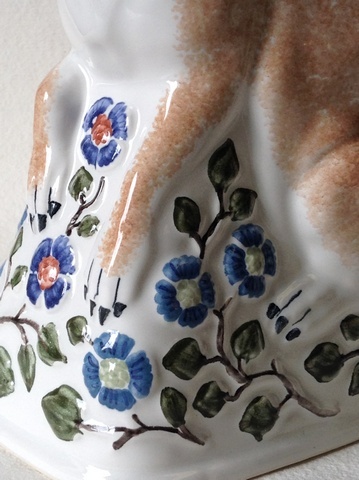 We’re reliably informed by customers that the combination of the Rabbit itself and the intricate base featuring hand-painted flowers in co-ordinating and complimentary colours is one of the key attractions of this piece.